Lena M. Nebel, CFP®, MSFS joined BFG Financial Advisors as an advisor in 2018 and quickly advanced to Director of Financial Planning and Principal in 2019. 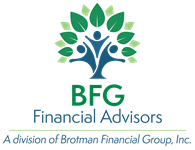 Her primary role at BFG Financial Advisors is to provide wealth management services to individuals and families. She accomplishes this by taking a proactive role with all clients and putting their needs first. Lena analyzes all the pieces of a client’s financial puzzle and provides organization and a clear path to their goals. Prior to joining BFG Financial Advisors, Lena worked for Keeney Financial Group for almost 15 years as a Wealth Advisor and the Director of Financial Planning. 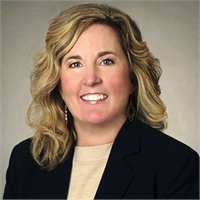 Her passion for the financial planning process and community is demonstrated through her commitment to the Maryland Chapter of the Financial Planning Association, where she was awarded the Leadership Award, served on the board of directors and became the chapter’s first female president in 2007. In 1999, she graduated with a Bachelor of Science from York College of Pennsylvania where she helped establish the college’s first Investment Club. After graduation, she received her CERTIFIED FINANCIAL PLANNERTM (CFP®) Certification at the American College and her Master of Science in Financial Services degree through the Institute of Business and Finance. During her free time, she enjoys attending local sporting events and spending time with her husband and three children. She is actively involved in the Girl Scouts, local charities and her children’s youth programs.